San Francisco’s “Parity in Pay Ordinance,” which prohibits asking job applicants about their previous salary, is to take effect July 1. The ordinance covers applicants in both the private and the public sector applying for jobs that will be performed within the city’s geographic boundaries and whose applications will be solicited, received, processed, or considered in San Francisco. The goal of the salary history ban is based on the rationale that using current or past salary to determine wages perpetuates wage gaps between men and women. The ordinance prohibits an employer from inquiring about an applicant’s salary history or considering or relying on it as a factor in determining whether to offer a job and how much money to offer the applicant. Furthermore, an employer may not release the salary history of any current or former employee to a prospective employer without written authorization from the employee. 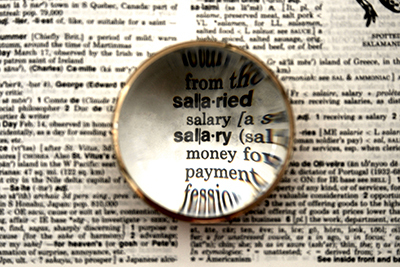 Without inquiring about salary history, however, an employer may engage in discussions with the applicant about salary expectations, including unvested equity, deferred compensation, or bonuses the applicant would forfeit or have canceled because of a resignation from current employment. The ordinance doesn’t prohibit an employer from verifying non-salary-related information disclosed by the applicant, nor does it prohibit an employer from conducting background checks. But if a background check discloses an applicant’s salary history, it may not be considered. If an applicant discloses salary history voluntarily and without prompting, the employer may consider it in determining how much money it will offer, but the California equal pay law and the San Francisco ordinance both provide that salary history by itself cannot be used to justify wage differentials between employees of different sexes, races, or ethnicities who perform substantially similar work. The newest salary history ban in San Francisco comes on the heels of a larger ban that impacts the entire state—AB 168. To learn more about AB 168 and the other new hiring laws that impact California employers, click here. To learn more about California based employment issues, join us at HR Comply California, October 17-19, 2018, in San Diego, California. Click here to reserve your spot today! For more information on the new San Francisco ordinance, see the September 24, 2017, issue of California Employment Law Letter. Cathleen S. Yonahara is an attorney with Freeland Cooper & Foreman LLP in San Francisco. She can be reached at yonahara@freelandlaw.com. Every week, it seems like there is a shocking new #MeToo or #TimesUp controversy dominating the headlines. Amid these powerful movements, companies must be more vigilant than ever to avoid becoming the next newsworthy story. From company culture and team morale, to your bottom line – even just one toxic employee can destroy everything you’ve worked so hard to build. In this special Insider Report, we’re diving head first into best practices behind supercharging employee engagement to positively impact your bottom line by reducing turnover and boosting productivity-outlining both short-and-long-term strategies for increasing engagement and maintaining it at a high level. Which of the following statements about sign-on bonuses is false? Sign-on bonuses are cash or stock and are always paid in a lump sum at the start of employment. Many employers pay sign-on bonuses to attract needed workers, especially hot-skills workers. Sign-on bonuses can offset demands for higher starting salaries and thus leave the company's base compensation program intact. Sign-on bonuses can induce workers to relocate to less desirable parts of the country. Sign-on bonuses may seem unfair to workers already working at the company.